What Kind Of Effects Can Fasting Have On A Bodybuilder? 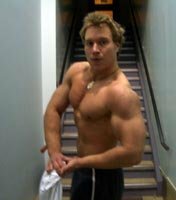 What kind of effects can fasting have on a bodybuilder? Our forum members come together to share with you what they believe are the pros & cons to fasting when living a bodybuilding lifestyle. Learn more! TOPIC: What Kind Of Effects Can Fasting Have On A Bodybuilder? We are constantly reminded how important it is for bodybuilders to eat a properly balanced diet and to NEVER skip meals. However, for religious or medical purposes some of us will probably have to fast at some point. What are some of the pros to fasting? What are some of the cons to fasting? Bonus Question: Have you ever fasted? Did you experience any noticeable effects? Fasting has been a controversial subject amongst the bodybuilding community for many years. Due to religious and medical reasons, people will fast for a period of time. This can normally be taken as a strong and thoughtful approach for a regular joe. However, seeing as this is a bodybuilding community and the majority of us here want to conserve as much muscle mass as possible, the subject of fasting tends to get a big shut down. Fasting can be VERY beneficial for the human body, especially for the body builder. The number one reason why a body builder SHOULD fast is to do a proper DETOX. Let's face it, a lot of us out there abuse supplements and take way too many than we need thinking that we will have better results. The truth in this matter is that the body can't handle so many different substances at once and alas the results that you expect tend to hinder. Therefore if you have indeed abused supplements for a long period of time and really can't see growth or plateau with your goals, then a detox would be strongly recommended. Doing a detox for a period of time and then going back to your supplements after has shown GREAT benefits and results. The body tends to absorb much more easily, and thus giving you more benefits from your supplementation. Here's a good link on more info for a detox. Although, its true that a detox isn't exactly a true "fast", it is very close to one, and appropriate for the everyday bodybuilding guru. But likewise, a fast, as I will explain later, if done in an inappropriate way, and for a longer period of time can be terrible for the body, that will result in huge muscle lose, lower energy and possible depression. Along with this, the body can excrete minerals and vitamins that the body needs, which can result in spasms (low calcium etc) and other unforeseen events. A fast should only be done if you have proper knowledge of how your body works and how you should actually do one. Detox the body from harmful substances. Lets the body rest, and lets the stomach heal. Can give the brain some rest, and can actually result in clearing unresolved issues. Can give you HUGE gains when you continue eating normally again. Lets you get away from dieting and will actually clear the mind. Lowered Blood Pressure and Heart Rate. Have You Ever Fasted? Did You Experience Any Noticeable Effects? Oh god did I. My story is a different kind of fast. I had an Eating Disorder, and that is probably the worst kind of fast you can ever do. I call it a fast, because I really didn't eat much (anorexic), and I can relate to the experience and tell you the actually symptoms I had. First off, when I started not eating, my energy levels were the first to drop. I was drinking coffee like no tomorrow to compensate for how I felt. This of course left me dehydrated and even more tired as a result. Next was the brain and thoughts. Sure my brain got some rest, but because I wasn't feeding it, I wasn't able to process information (which made studying impossible). However during these times I started to think of crazy things I have never thought of before. My mind was in a different state, not necessarily a bad one, but one in which I wouldn't want to be in again. Due to not eating I was SEVERELY deficient of vitamins that I needed to maintain "good" health. I had spasms EVERY night, and was pale. My heart rate dropped to 40, and my blood pressure was about 70/40. This was a month before I was hospitalized, in which my heart actually stopped from the lack of nutrition and the amount I was exercising. Which brings me to my next point, on a fast, your training will be TERRIBLE. Yes, you will feel great doing cardio, and you will be able to do it, even though your muscle mass will be your source of energy. However, the training will be AWFUL. Whatever you were lifting before, good luck lifting half of that, its just very difficult without an energy source to fuel that workout. Apart from not lifting heavy, it becomes very easy to have an injury as a result. So in short, I believe that a fast if done properly and for a short period of time, then it can be beneficial. However something that is not controlled and continues for an extended period of time, can actually kill a person. Johnson JB, Laub DR, John S. The effect on health of alternate day calorie restriction: eating less and more than needed on alternate days prolongs life. 2006 Mar 10. Fasting can have a substantial effect on a bodybuilder, or a minimal effect, depending on the situation behind the fasting and the degree of the fasting. Fasting is essentially just abstaining from food or drink for a period of time. This time can vary depending on if the fast is for medical or religious reasons. Basically, however, fasting will have mostly the effect that you let it have on you. If you just don't eat during the day, for several days, without taking the fast into consideration when planning your meals or exercising, chances are you will see some detrimental effects to your strength or your physique. There are ways that you can combat the detrimental effects of fasting, and leave you with just the positive. For those of us looking to bulk up, I'm sorry but you're going to have to forget about it if you will be fasting for a long period of time. The reasoning behind it is simple, and that is you simply cannot get enough calories over a long enough period of time to prevent fat build up, and to promote recovery throughout the day. Consequently, training volume usually needs to go down if you are training in a power, or hypertrophy rep range. An alternative to reducing training volume, is changing the training type. One thing I quite often do, most of the time and not just while fasting, is train in an endurance rep range and do mostly body weight calisthenics. I've noticed that this doesn't traumatize my muscle fibers and central nervous system as much as slamming around some heavy iron would. This results in me being able to recover more quickly from each workout and being able to workout each muscle more often in the week. You can either train early in the morning before you begin your fast. Or you can train late in the evening after you have ended your fast. One of the positives to training in the morning is that you can immediately eat afterwards, and come time to break your fast you can also eat dinner straight away. However, doing this can raise your metabolism for the whole day which can make you hungry throughout the day which can bother you if you don't have mental control over yourself. It can also put you into a catabolic state for part of the day. Alternatively, you can workout at night, either right before you break your fast, or right after. If you workout right before you break your fast, you can eat your post workout meal shortly thereafter or after having your PWO shake. If you choose to workout right following breaking your fast (which is what I think is the best for making gains), you can have a protein shake/BCAAs or half to kick your body out of a catabolic state, and then wait about 15-30 minutes for it to settle down a little and then start hitting the weights. After you are done, finish the rest of your protein, or make yourself a PWO shake, and begin the cool down process. Another 30 minutes after your're down with your PWO drink, you can hop into your high-protein high-carb post-workout meal. Right now, your muscles are still pretty starved from a whole day of no carbs, and the insulin spike following a high-carb dinner should send nutrients flooding into your muscles. One thing to keep in mind is to stay hydrated. While you may not be able to drink fluids during the day, you can certainly drink before and after. You should be saturating your body during the night with mostly water, and a little bit of electrolyte from a sports drink or something, that way it is easier for your body to maintain a higher level of hydration during the day and after breakfast when you drink your morning fluids. Breakfast is best to be comprised of lots of moderate to slow digesting protein like from whole eggs and milk, and lots of slow digesting carbohydrates like oatmeal or whole wheat bagels with peanut butter. A little bit of fat does help keep you satiated for longer in the day as well. It wouldn't hurt to take a good multi-vitamin either. Some great things about fasting is that it can serve to help clear the mind and help you focus on what is really important. And not to mention it can certainly help clear out the internal plumbing when it starts to get backed up from all the meat we eat and supplements we take as bodybuilders and athletes. While some may agree or disagree, I believe an occasional fast for anyone, even for non-religious reasons can be very beneficial as it allows you to just give your digestive system a chance to expunge a lot of the fatty, dense, commercially processed food that we eat. Another very common benefit to fasting is to get accurate blood glucose tests. By abstaining from everything but water during the day till you take your test, you can get an accurate representation of blood sugar levels and tell whether you are hyperglycemic (too much blood glucose), hypoglycemic (too little blood glucose), and find out where you may have diabetes or not. A similar test is carried out to test for cholesterol and get an accurate reading based off a fasted state so that what you eat will not temporarily elevate blood cholesterol. There are many other possible medical benefits associated with fasting, such as detoxification of the body and like I said earlier, clearing out the old plumbing. But for one reason or another they can be considered questionable because not everyone agrees upon it. One of the biggest cons to fasting is that it can and will most likely slow down your metabolism. To what extent it does so is up to you, because if you're eating quality foods at the right times, and exercising at the right times, your metabolism should still stay at a fairly reasonable level. Either way, after you are done fasting for whatever length of time, it is important to not gorge on food every chance you get, but to sort of acclimatize yourself to the large calorie intake so your metabolism speeds back up to its normal rate. It can be quite draining over a long period of time if you do not get adequate amounts of sleep and food when you are allowed to eat. So it is important to readjust your calorie partitions between breakfast and dinner. And over a really extensive period of time, it would be extremely difficult for a body builder to make significant gains. Endurance athletes, or athletes of any type will also find it difficult to perform under fasted conditions as the energy source of muscles, glycogen (a derivative of starches and ingested carbohydrates) is hard to come by after a certain point in the day when your breakfast is starting to wear off. I have actually fasted for religious reasons for many years, even fasting when I was a child before I was religiously obligated to. As you may know, Muslims fast one month in the year known as Ramadan. I really enjoy it, and look forward to it every year, because it gives me a chance to really focus on what's important around me, and discipline myself further, and most importantly I feel it helps me focus on my religion. As far as affecting me from a physiological and psychological stand point, it does indeed do that. As part of the biggest Corps of Cadets outside the service academies, and being an engineering major, I typically have a lot demanded of me physically and mentally. Fasting can and does often drain me in those two areas during the course of the month, but I have learned how to delay the draining effects for longer thanks to a lot of information on this site. And quite frankly, I usually get in slightly better shape coming out of Ramadan than I do going into it. Cortisol does run high through out the month, especially when exam time comes around and I do not get to sleep as much as I need to. But I believe that it is definitely manageable if you take a systematic approach to the month, week, or whatever period of time you plan on fasting, and apply all the knowledge of nutrition that you have, or seek more knowledge if you do not have that much. The human body is always under the stress of having to create energy and nutrients from whatever is available to it. In normal cases, the body metabolizes foods that are consumed such as fats, carbohydrates and proteins. There are a few uses for these nutrients. Proteins can be used by the body to create new lean muscle when needed. Carbohydrates are basically the energy providing nutrients, while fats act as another energy source. They all have other uses, but we'll try to keep this a simple explanation for now. In the case of bodybuilders, there is always a great deal of stress on the body from the intense lifting sessions that we force ourselves to go through. This causes muscle breakdown, which requires protein from the bodybuilder's diet to rebuild the muscles bigger and better. When there is no free protein, the body will attempt to rebuild that muscle from whatever is available, which would be protein from already existing muscle. This means that in order for the muscles to rebuild from the stress of the workout, other muscles are put into a catabolic state and are broken down to rebuild another muscle. Basically this means the loss of muscle tissue somewhere to rebuild muscle somewhere else. For instance, if doing a eg workout while fasting, you would be losing bits of hard earned muscle from your upper body to repair those legs. Does this sound like what a bodybuilder wants? ABSOLUTELY NOT! This is essentially the moving around of muscle from muscle to muscle, without adding any additional mass! Another less known fact is that protein can be used as an energy source, just like fats and carbohydrates. When a person is in a fasted state, the body needs to get energy from somewhere in order to keep living. Essentially it has three choices. The carbs stored in muscles (glycogen), fatty tissue (that nice keg that's been making it hard to fit into your Levis), or to take proteins away from muscle that's already built. Now it seems obvious that we would like the fat to be the choice our body makes, but unfortunately that isn't true. When the body needs energy, it takes from all three of these sources. Meaning you would lose muscle mass, lose the sugars in your body (making you tired), as well as losing some body fat. Of course for medical reasons such as blood tests or religious reasons such as Ramadan, this is hard to avoid. If a solid diet and consistent exercise regimen is followed, small periods of time fasting such as these shouldn't have too hindersome of effects on one's physique. The pros of fasting are that a very accurate blood test can be taken in medical circumstances. That of course was a little bit of a joke, but there really aren't too many pros to fasting other than incredibly fast weight loss. Now this sounds great to some people but the problem with this is that the weight on the scale may go down very quickly, but that will not be fat loss as bodybuilders would like. There will be fat loss, muscle loss, and potentially water loss. Muscle is very metabolically active substance, which means that the loss of it slows down the amount of calories that the body burns in a day. This means that as soon as the fasting has ended, this weight is very likely to come back quickly and often as fat rather than muscle. It really is a negative thing the world of bodybuilding. When in a fasted state, the body doesn't have the proper nitrogen balance to keep all of that hard earned muscle. It has to be broken down for either energy or into its amino acid monomers in order to rebuild other proteins in muscles that have been broken down (for instance when a person lifts weights while fasting). I have felt the effects of fasting before. Not being able to eat for a whole day would qualify me to talk about this. Essentially, fasting makes you feel weak. There is just no energy to do anything, including to go and get up to eat oddly. If someone were planning to work out while fasting in the future, I would wish them luck, because it is incredibly hard to do because the weakness as well as the stomach cramping is tough to cope with. As well as the feelings you get, the changes in your physique are also noticeable. You essentially look flat and weak as opposed to the ripped and lean, which is the ideal look. Fasting is definitely not an advisable part of bodybuilding.